Glad to see you are back and glad to hear you are feeling better! You have so many amazing patterns and ideas, I’m sure you will figure your moveable doll out! Looks good so far! 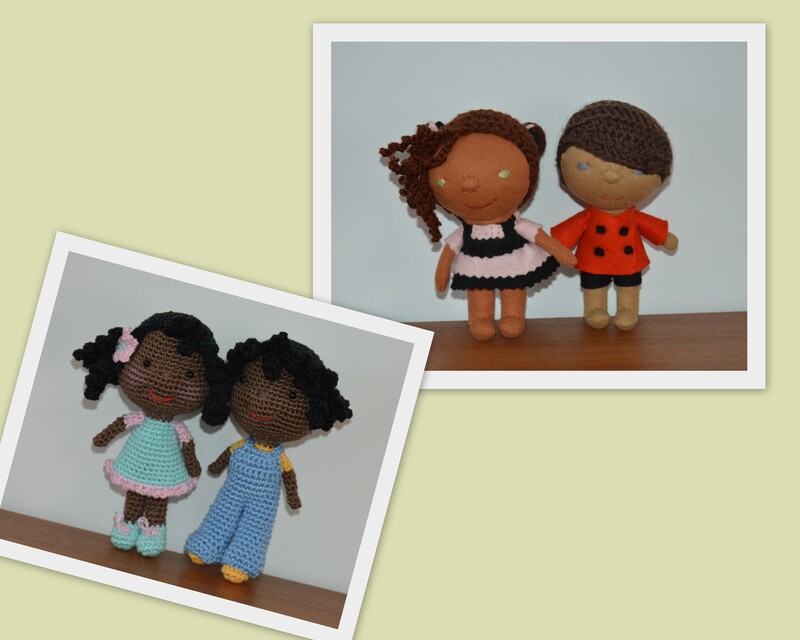 Love the dolls you made for your friends! Thanks for all your inspiration and help! Manda! Ready to do and ready to share and then we download. You are a wonderful person. Oh thanks! Just a fast comment to make you now that your bb Candy doll is on my blog. Hope you enjoy. I’m so glad that you are feeling better. I was starting to worry about you and I was overjoyed to see that you are getting back to top speed with your crochet. It amazes me how much you managed to get done even as you were on the mend. You are such a trooper! Thank you for sharing about all your experiences. You are an inspiration! and thank you for kind words. I am glad to be back as well, but still have a lot to catch up with…can’t wait to read your Something to Smile About, Monday Quotes and news you shared last month. Glad to hear you are feeling better. Love your patterns. How do you translate crochet patterns when they are not in English? Such a sweet exchange of dolls between you and Arlette; I can feel how excited you are!! And your jointing method looks great. It amazes me the ingenuity that dollmakers have, and just how much can be done with a hook and a thread. Looking forward to seeing your fully jointed doll! Take good care. Sometimes the downtime is a good thing; you put it to good use and have come up with some wonderful dollmaking ideas.